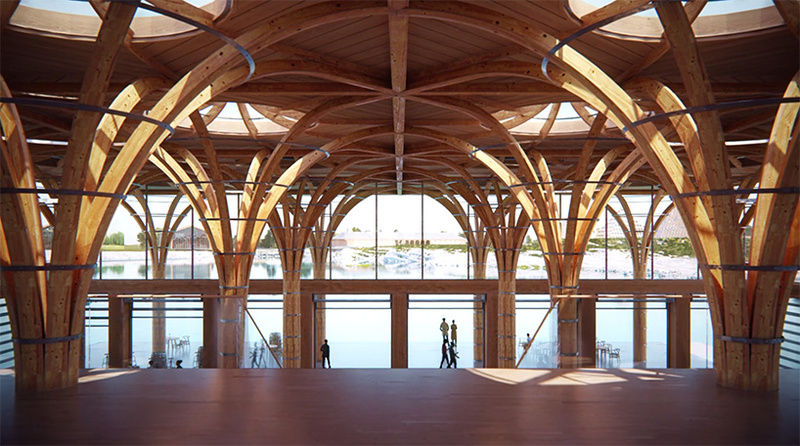 japanese architect shigeru ban has been commissioned to design a 420-acre site dedicated to the production of whiskey. 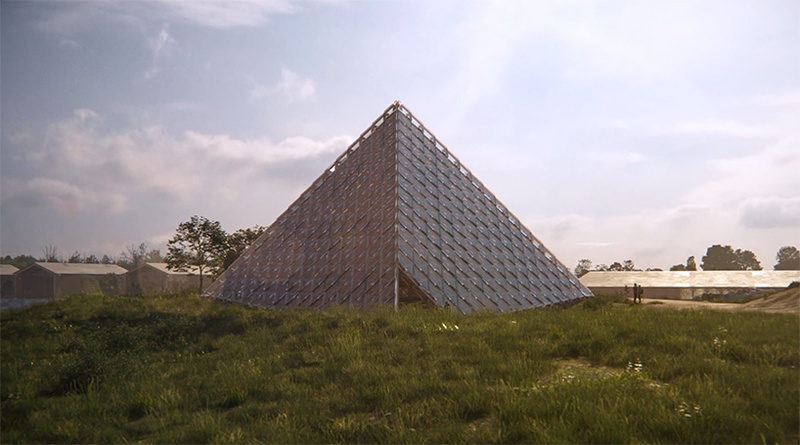 ban and his firm will transform a disused quarry into ‘kentucky owl park’, a destination that will include rickhouses for aging, a bottling center, and a state-of-the-art distillery. 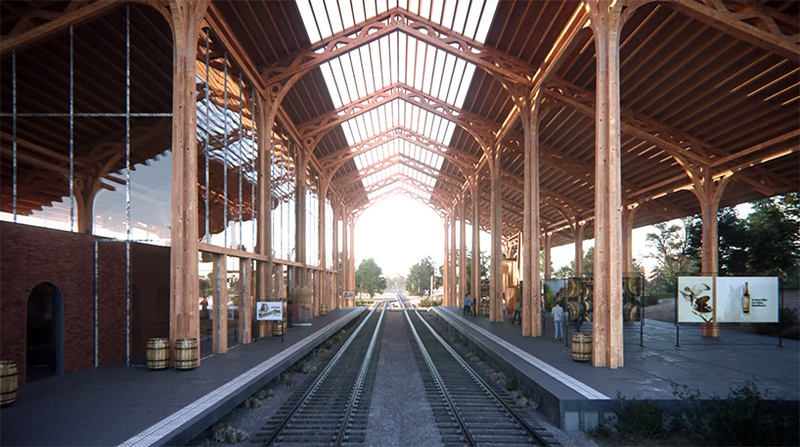 there are also plans for a vintage train to stop on the property, connecting the site to other distilleries along kentucky’s bourbon trail. 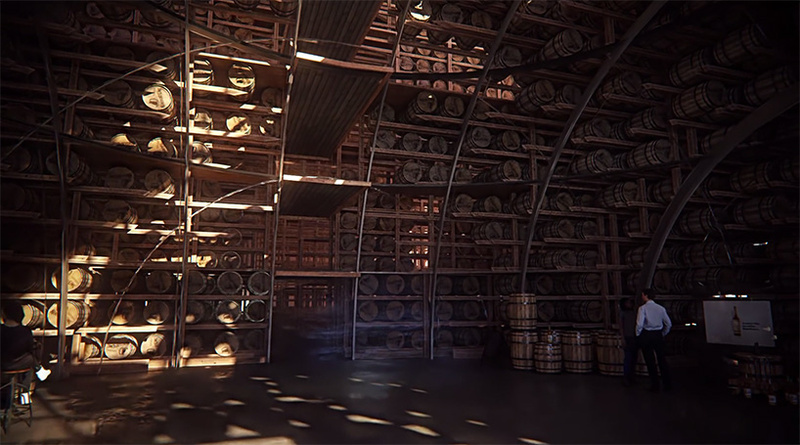 the project was unveiled by stoli group, the division of SPI group responsible for the management, distribution, and marketing of kentucky owl bourbon. 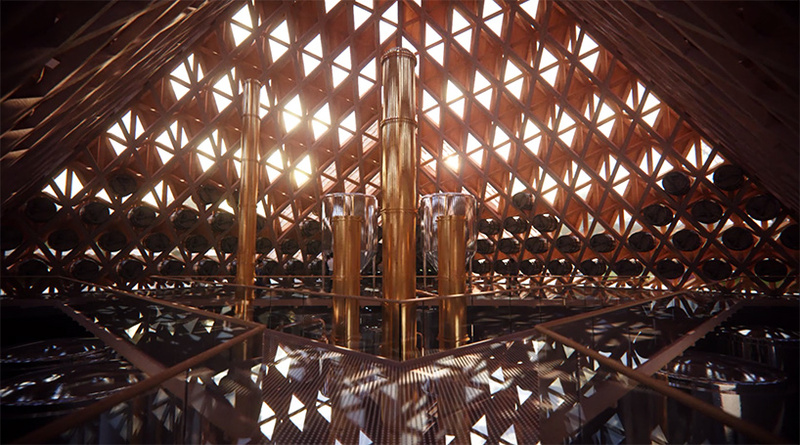 the complex will host a collection of buildings, carefully sited within the natural landscape, that boast an industrial vernacular design aesthetic. 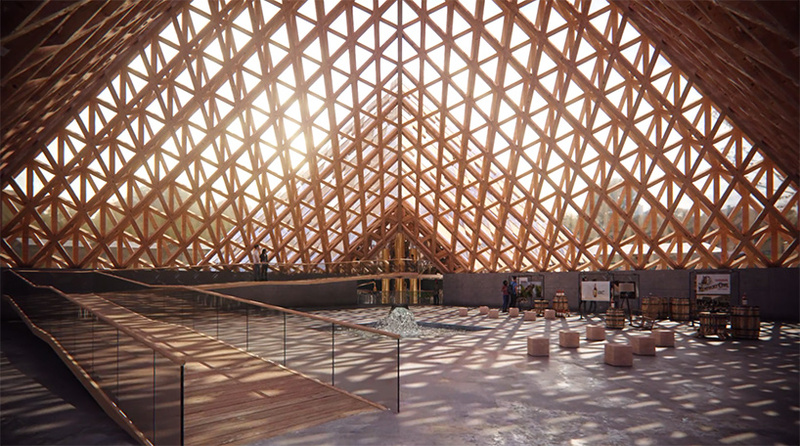 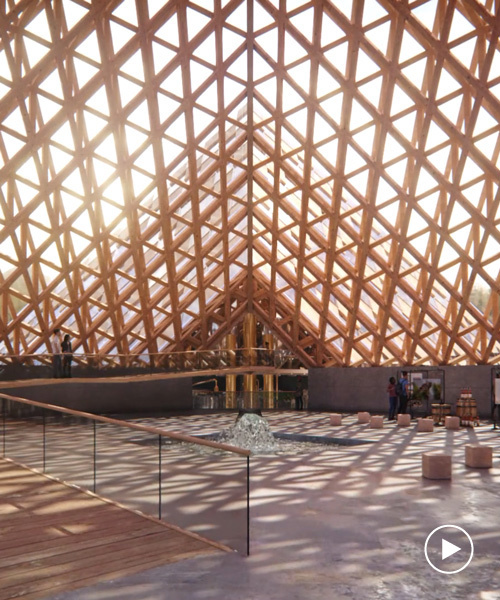 shigeru ban’s vision for the project hearkens back to the 19th century with long-span steel structures that have been reinterpreted with the use of mass timber. 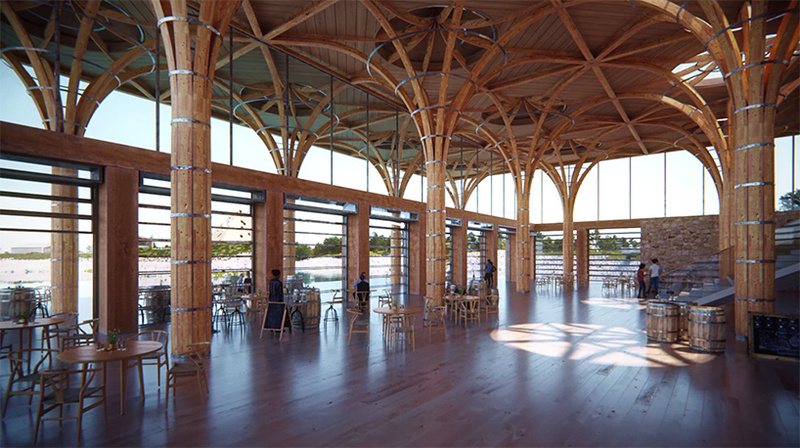 each building will have a distinct structural form that incorporates visual elements of the local bourbon-making process. 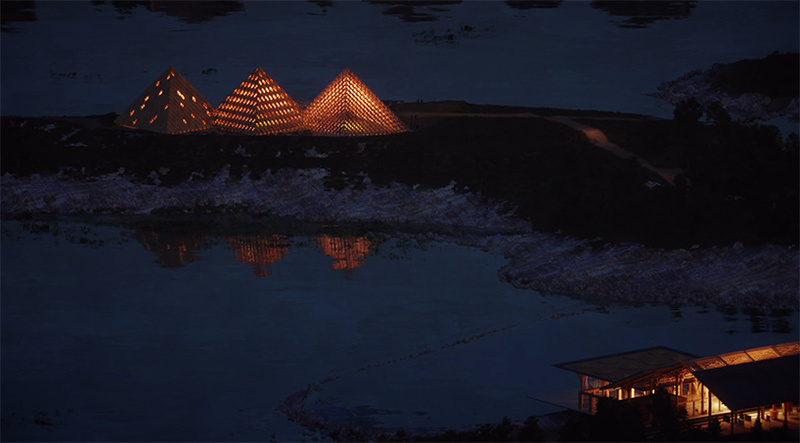 perhaps the focal point of the scheme will be a trio of pyramidal buildings, which sit at the center of the site. 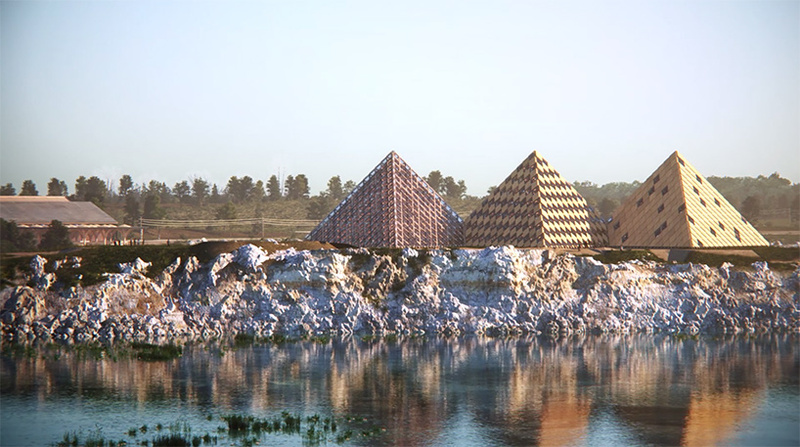 meanwhile, the quarry pits will be turned into lakes with crystal-clear, limestone-filtered water.